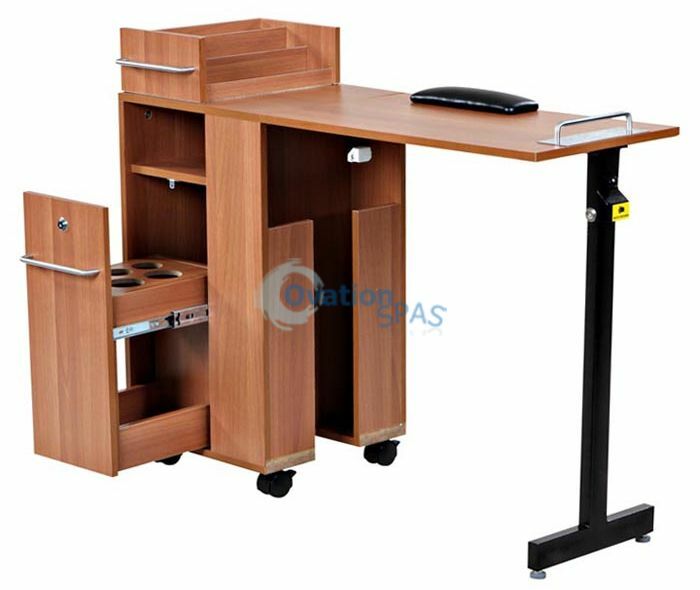 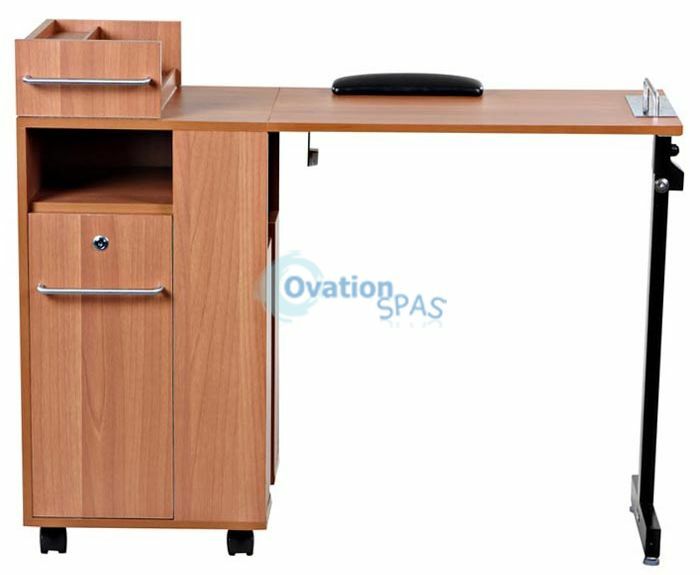 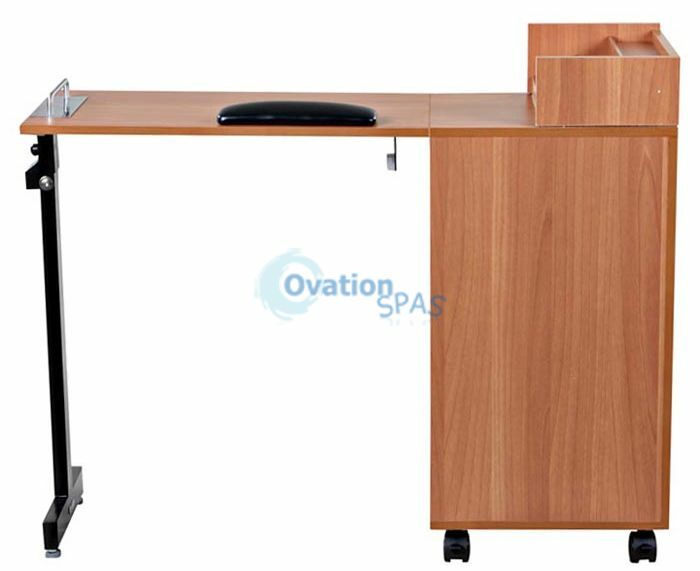 Free Shipping - This manicure table is great for every salon owner or manicurist who has ever been concerned with lack of work space. 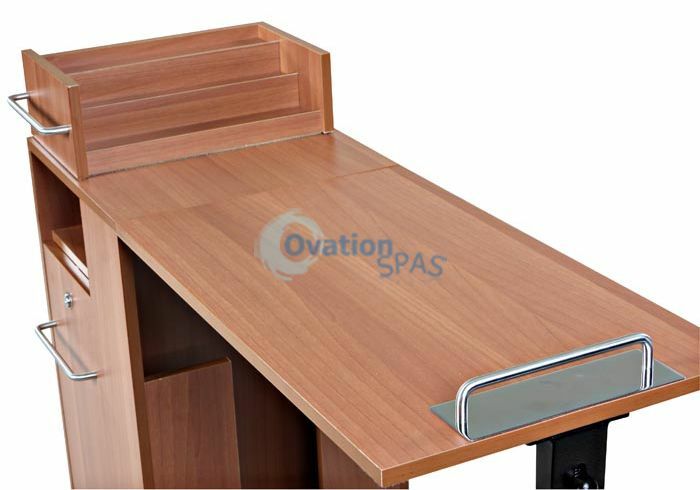 With its unique design, this table is ideal to be used either once in a while or for every appointment. 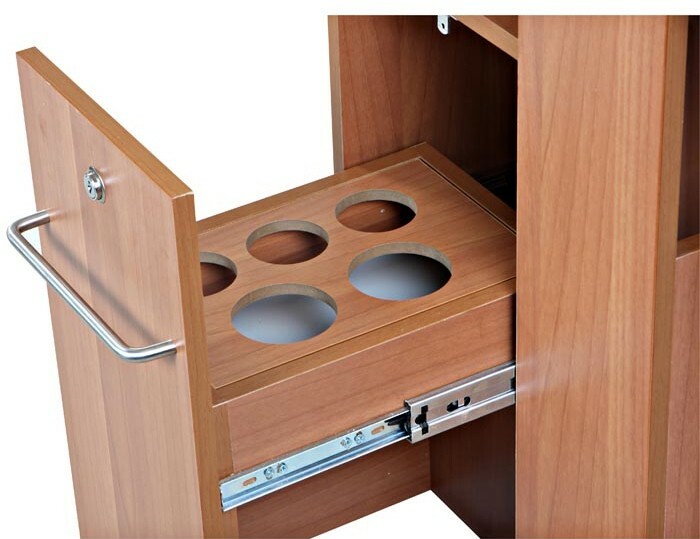 The collapsible table-top allows easy storage in between manicures and can collapse without difficulty. 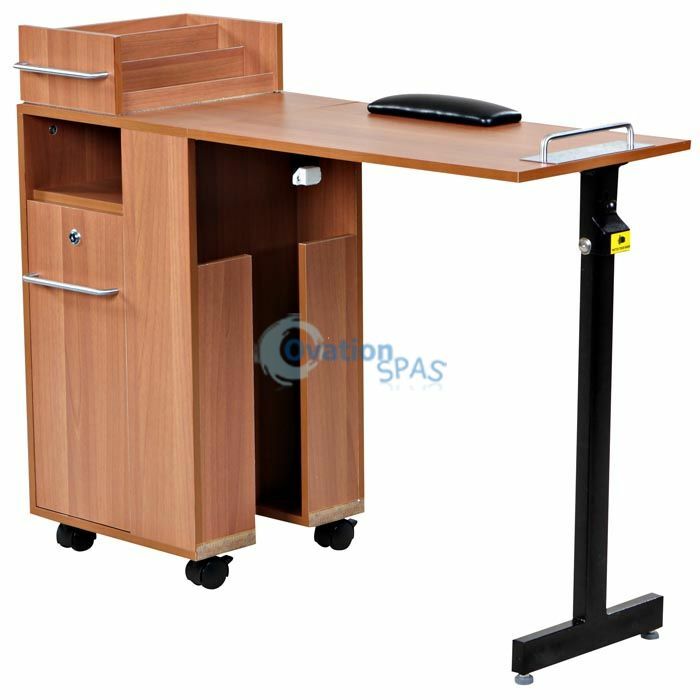 The table can also be erected with extreme ease. 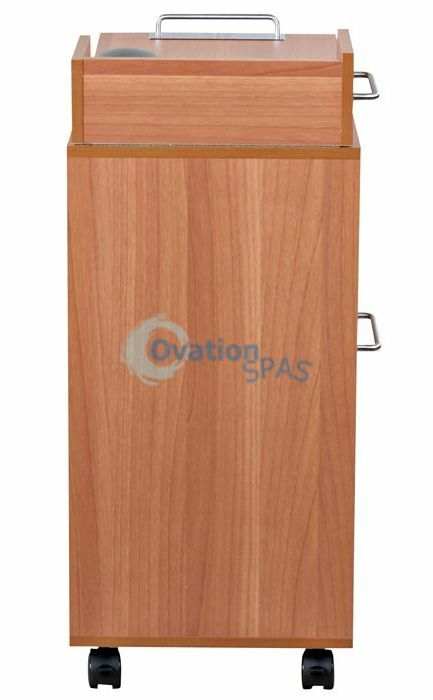 This is a great find that every salon should not be without. 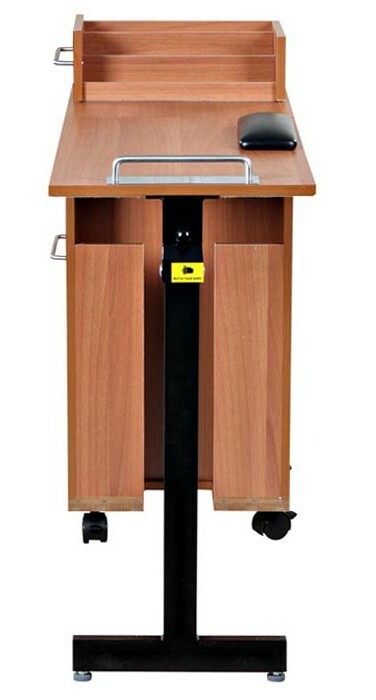 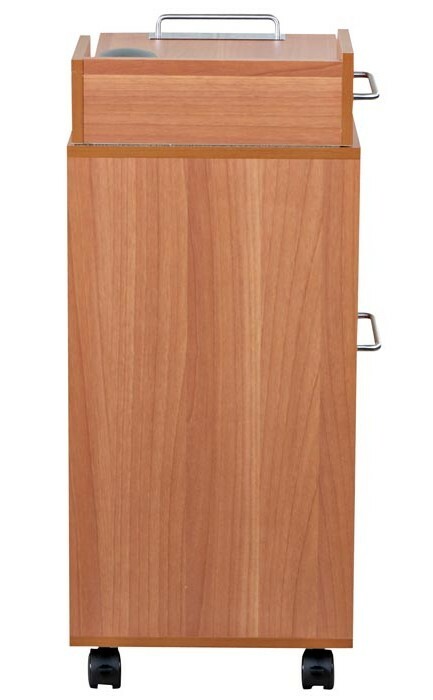 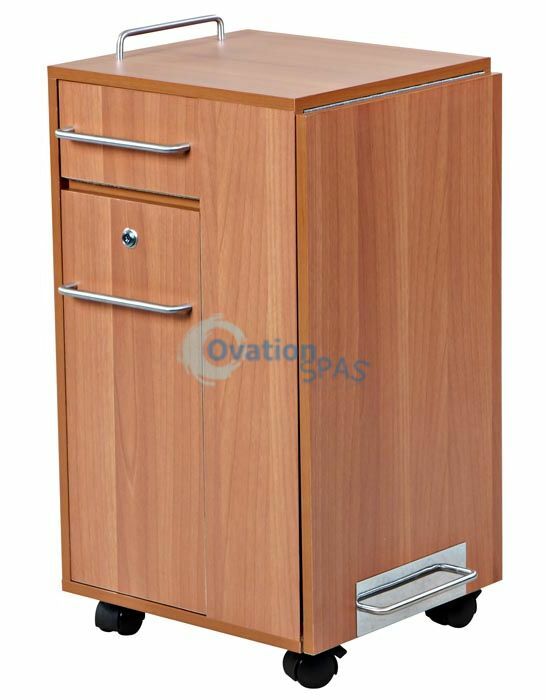 Features: Lockable storage drawer Removable drawer for table-top display Collapsible table-top to save space Table-top locks into place when erect for security Brush nickle handles Wheels for easy portability Dimensions: Height: 30.5" Width: 18.5" (42" w/table) Depth: 16"